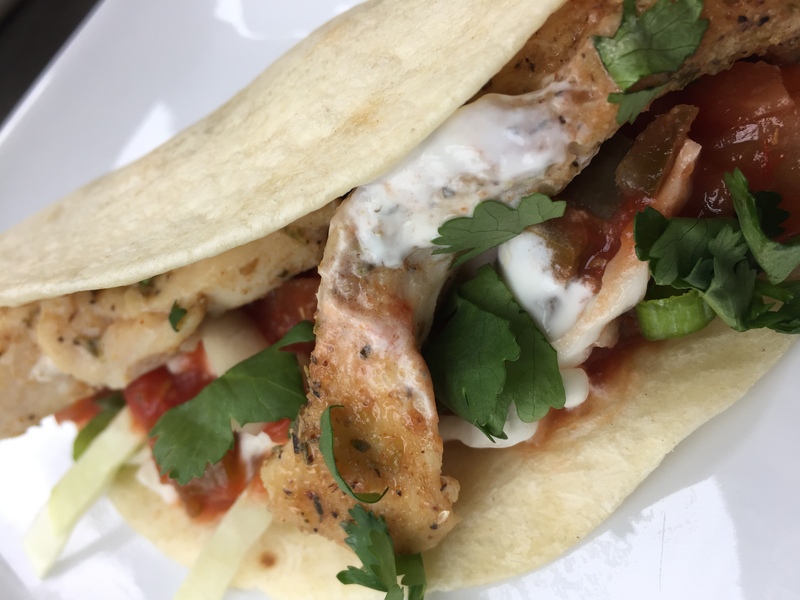 How to make some of the best chicken tacos you’ll ever have. They’re fast, easy and so delicious! Check out the step by step instructions in the video below – the ones I made in that video disappeared in about 2 minutes! I make chicken tacos about every other week. Tortillas have become a staple in my house, and I always have chicken, so throwing these together is super easy. I can make these tacos out of my pantry in no time. Even better – they’re so easy that it’s not problem for my older children to make them for supper, now that they’re old enough to start pitching in on mealtime duties. We make them and top them with a little sour cream and lime, and we like to also use fresh pico de gallo and fresh cabbage – it makes a terrific combination of flavors and textures. Try the shredded cabbage – you’ll be surprised at the great crunch it gives. They are also pretty daggone healthy – we use whole wheat tortillas, skip the cheese, and add lots of fresh veggies, so this is a win-win all around! In a small mixing bowl, whisk together the salt, paprika, onion powder, cumin and chili powder. In a large mixing bowl, drizzle the cubed chicken pieces with 2 teaspoons olive oil. Toss to coat. Sprinkle chicken with paprika/cumin mixture and toss to coat. In a large skillet over medium heat, heat remaining olive oil. Working in batches so as not to crowd the pan, cook the chicken until golden and fully cooked through, about 8-10 minutes, stirring occasionally. As they cook, set them aside and tent with foil to keep warm. Wrap tortillas in a damp paper towel and microwave for about 15 seconds, just until warm. Alternately you can heat them in a cast iron skillet set to medium low heat, by placing them in the skillet for just a few seconds per side. In a small bowl, combine the sour cream and lime juice. Serve the chicken in the tortillas, and drizzle them with the lime sour cream. Top with green onion, shredded cabbage and pico de gallo. t; alt="" style="border:none !important; margin:0px !important;" />">cast iron skillet set to medium low heat, by placing them in the skillet for just a few seconds per side.